The annual report from SSON is the most anticipated article in the shared services industry each year, addressing the current industry landscape, the future of shared services, and everything in between. The report survey's the largest pool of shared services executives from around the globe to gain real insights and provides the most valuable analysis of the industry. 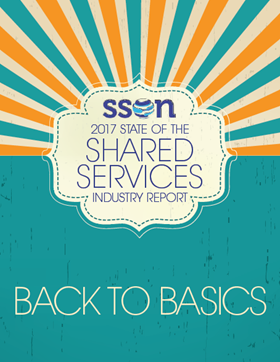 Download the report and view all of the information about shared services in 2017 and see how your organization sizes up.